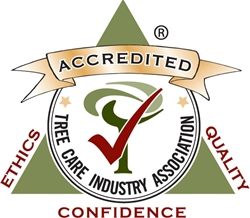 To deliver a highly professional and engaged client experience, providing unmatched quality tree care services, while safely, efficiently and productively advancing the industry. As you know, overgrown or old trees become a hazard for any property. The process of tree removal can also be a dangerous task. With the addition of remote-controlled tree removal service, our team now has one unique advantage: we are capable of removing trees without ever leaving the ground! Our approach virtually eliminates the hazardous conditions that other tree service employees have to deal with on a daily basis. The remote-controlled tree removal truck is the top of the line technology within the tree care industry. Having this equipment can prevent dangerous situations like operating near power lines or working near residential and commercial structures. 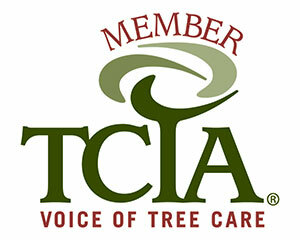 We are the only tree care company in Central Illinois that can provide this service and this peace of mind. In this line of business, we want to honor the importance of timeliness. If a storm has just ended or a new municipal building is ready for construction, our team needs to be on-call for near immediate action. We realize that your time matters. Our remote-controlled tree removal capabilities significantly increases the efficiency of the tree removal process, to help solve your tree problems and get you back up and running as quickly as possible. If you're looking to improve the look of your property, raise the resale value of your home or have your trees and shrubs trimmed, we can help. At Oak Bros Tree Removal and Stump Grinding, we are committed to providing residential and commercial tree services, and we pride ourselves on going the extra mile for every one of our clients. Proper care is necessary to keep your trees and shrubs looking their best; that's why we only hire ISA Certified Arborists and other highly trained staff members. Is a tree in your yard dead or dying? Standing in the way of new construction? Creating a safety hazard? Although tree removal should be a last resort, sometimes it’s the only viable solution to a major problem. And when you need fast, professional tree removal service in Central, IL, Oak Bros Tree Removal and Stump Grinding can help. The specialists at Oak Bros Tree Removal and Stump Grinding are Central, IL experts in tree care. If you’re like many other property owners in Central, IL, then you’re not alone in experiencing the frustration of having too many tree stumps marring your beautiful property. As a local arborist, Oak Bros Tree Removal and Stump Grinding offers tree stump grinding to deal with your tree stump problems once and for all. Are your trees in serious need of attention? 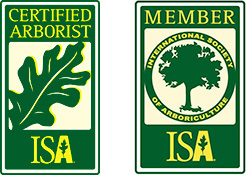 We have ISA Certified Arborists on staff who can identify the needs of your trees and diagnose properly. If you're in need of Plant Health Care Services in Central, IL, trust our team to come in and get the job done. We do more than just remove excess branches and leaves to keep your trees looking great; we also make certain your trees are healthy so that their structural integrity isn't compromised. Getting your life back in order after a devastating storm takes time. From property repairs to storm debris cleanup, the process can be frustrating, physically taxing, and time-consuming. But we can help. At Oak Bros Tree Removal and Stump Grinding, we assist property owners in Central, IL with cleanup after damaging storms. We value the people we partner with in our communities. Here are this month's Special Offers on any of our services. For all customers in the Military and Public Safety industry, you will receive a 5% Military and Public Safety Discount! For all customers who live in the Tri-Valley School District will receive a 10% discount plus a 10% match by Oak Bros. The 10% that you save will be fully donated back to the Tri-Valley School District. Oak Bros did a good job bringing down my infested tree, cutting it up, cleaning up the yard, and hauling away the debris. There were fences and my deck close by and they avoided them while cutting down the tree. They ground up the stump and leveled out the ground. Their prices were very reasonable compared to other quotes I received. Do be careful though when getting a quote, since they didn't include hauling away the stump grindings in the original quote. Still quite reasonable. We have Used Oak Bros several times and have referred them to our clients at Remax Choice as well, wouldn't use any other company they are the best at what they do! On time , courteous, affordable, with great work ethics! Choose them you won't be disappointed ! We had a very large pin oak trimmed away from our house and deck area. They were very efficient and cleaned up the entire yard and hauled away everything at a reasonable price. I will call them for any tree service that we need. Absolutely pleased! We had three old trees which were overhanging the house and we worried every time there was a wind storm. It would have been a dangerous and lengthy job, but Oak Bros brought in some new technology - a hydraulic grapple and saw which was remotely controlled so there were no guys hanging in the trees with chainsaws. The machine literally grabbed the upper branches, cut them, and laid them by the chipper. It was amazing to watch them disassemble the trees. They arrived right on time. The manager made sure that his employees and I were clear on details of the job. It was such a pleasure to watch safety-conscious gentlemen work hard all day. They also ground out 13 stumps which will make mowing so much easier. Cleanup exceeded my expectations and there were no ruts in the yard. I appreciate that they took such pride in their well-maintained equipment. At the end of the day, the manager came by to make sure everything was done as expected. Well, they exceeded my expections. Have worked with this company several times now and every time has been a great experience. Will definitely use them again. High recommend!! Great company to work with. I had a massive Hackberry fall on my garden so I called them the following morning. They gave me a proposal that afternoon and had the tree removed by early evening saving my garden. The price was fair and the work was done professionally and efficiently. Josh was very prompt in responding to my call for an estimate. The crew who took down my tree and ground the stump were conscientious and made sure that their work did not damage my lawn and landscaping. I highly recommend OakBros tree service. Let's help you assess your safety needs and put a plan into action.